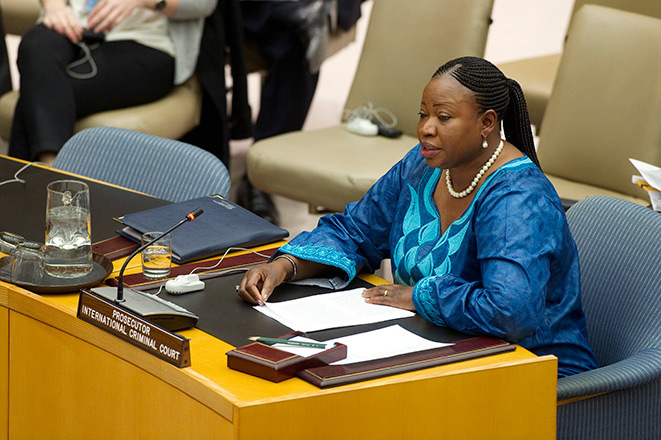 In the aftermath of the March 23 Movement, or M23, seizure of Goma, the International Criminal Court, or ICC,Chief Prosecutor Fatoua Bensouda announced that her office is investigating "allegations of ICC crimes by members and leaders of M23, and by other parties taking advantage of the chaos in the region." While documenting the M23's crimes is undeniably important, a robust ICC investigation into the other actors responsible for international crimes being committed across eastern Congo could provide much needed leverage to the international community as it seeks to broker peace in the troubled region. The U.N.'s High Commissioner on Human Rights, Navi Pillay, has already found evidence that "advances made by the M23 rebel group over the past few days have been accompanied by a significant number of violations of human rights and international humanitarian law committed against civilians, particularly those fleeing the combat zones." Securing justice for the people of eastern Congo will require ensuring that all perpetrators of crimes are held accountable, both at the international level and within Congolese courts. Thorough ICC investigations into crimes being committed by all parties "taking advantage of the chaos in the region" will be a first step towards ending impunity. Despite the Congolese government's attempt to secure his arrest earlier this year, the Rwandan backed M23 militia group's leader, Bosco Ntaganda, remains a destabilizing force in the Kivus. The ICC, which already has two outstanding arrest warrants against Ntaganda, cannot move forward with its prosecutions unless Ntaganda is captured, arrested, and surrendered to the Court. Ntaganda was first charged with war crimes in 2006, in an indictment focusing on his role in the recruitment of child soldiers during his tenure at the head of the Union of Congolese Patriots, an Ituri based armed group founded by convicted war criminal Thomas Lubanga. In July 2012, the ICC added a second warrant against Ntaganda, alleging his responsibility for war crimes as the head of the Congrès National Pour la Défense du People, or CNDP, an armed group that officially put down its arms as a part of a 2009 peace deal(PDF). Following a mutiny in April, Ntaganda's CNDP morphed into what is now known as the M23. According to the newly appointed Bensouda, the recent violence in Goma further highlights the importance of Ntaganda's capture and arrest. Bensouda's statement concludes that until Ntaganda is arrested and brought to justice he will continue to be a "major driver of instability throughout the entire Great Lakes region and one of the biggest threats for civilian populations." Ntaganda cannot be allowed to continue to operate freely and commit serious international crimes without consequences. In the ICC's quest to hold Bosco Ntaganda accountable, perhaps issuing a third arrest warrant for crimes committed while at the helm of M23, might just be the charm.